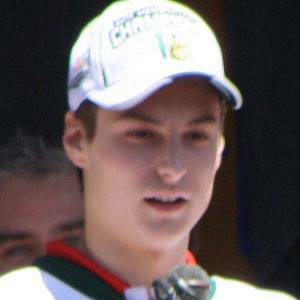 Goaltender who was drafted 36th overall in 2013 by the Montreal Canadiens and won a gold medal at the 2012 Ivan Hlinka Memorial Tournament. He played for the Halifax Mooseheads in the Quebec Major Junior Hockey League. He was picked to be part of Team Canada's roster for the 2014 World Junior Championship. He was born in Laval, Quebec, Canada, and he grew up in Rosemere, Quebec.